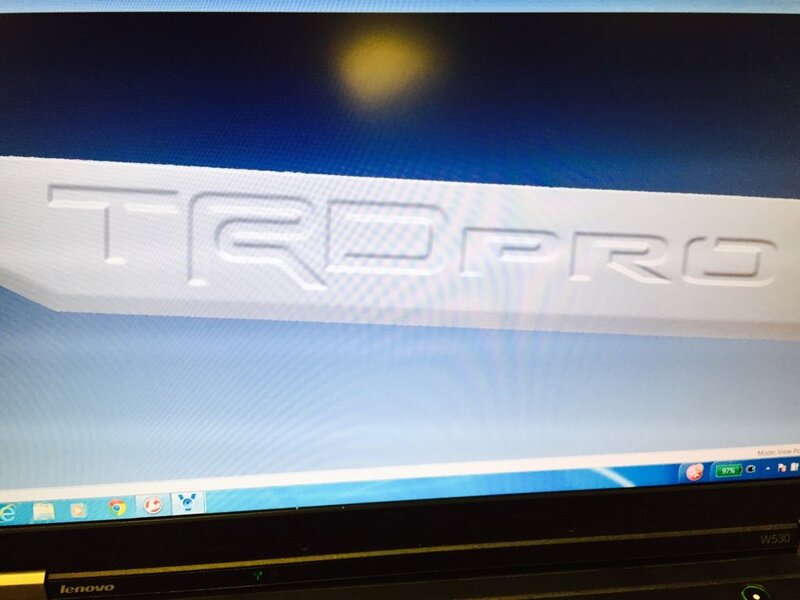 Thread: Toyota Tundra TRD Pro Bed Stamp Font? 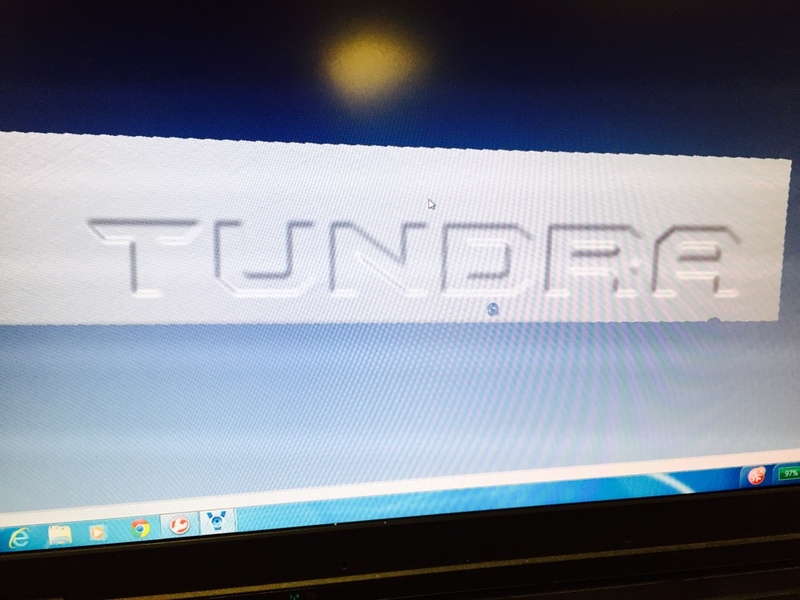 Re: Toyota Tundra TRD Pro Bed Stamp Font? What scanner and sorfware do you use? I have a romer arm with a perception head that is read in polyworks. This was done with a Creaform Maxscan 700. We just ordered 2 ATOS blue light scanners that should be in soon. I also have access to a 12' romer arm with same perceptron head as yours I'm sure. We post process with creaforms VXelement and polyworks too. I also use Catia V5 to bring all my data into CAD. What are you using your equipment for? I work for a OEM and reverse engineer competitors vehicles. Most excellent, let's keep this going, I'm hoping to get the right proportions for a decal. It's going to take me a little time, but I'll keep everyone in the loop with my progress. Once I'm done we'll have a decal that will fit the bed and tailgate. Looks cool. I always wanted to change my trd stickers on bed to add supercharged under trd. I do failure analysis and reverse engineering in the oil/gas/service industry. I ordered mine off ebay. TRD is in Carbon Fiber and PRO is Red of course. I LOVE THEM! I have the stamping for both bed and tailgate 3D scanned. I just need to bring them into CAD and create the sticker outlines.